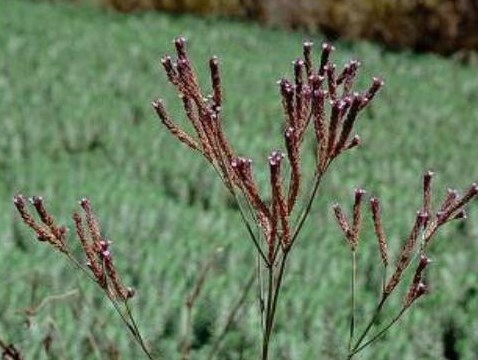 Verbena bonariensis (tall vervain) is a herb/ (family Verbenaceae) with purple flowers and narrow toothed leaves found in the Central Valley and the central and south coast ranges of California. It is native to South America. It favors grasslands and riparian and bottomland habitat. It readily self-seeds and is dispersed via animals, wind and water.